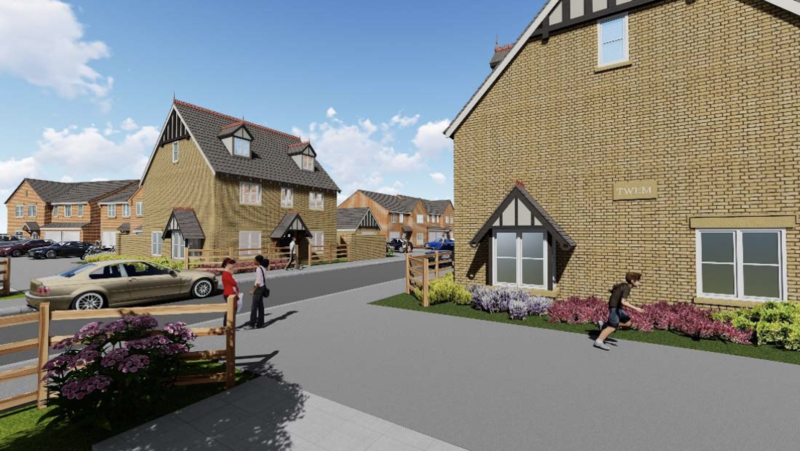 Plans from Taylor Wimpey UK for new homes on land west of St Crispin Drive in Northampton have been recommended for approval. 118 two and two and a half storey homes will be built if the plans are given the final go-ahead, comprising of 2 to 5-bedroom properties. The application site is located to the north west of the centre of Northampton and consists of 5.88 hectares of former agriculture land. A council document released ahead of the final decision on the plans says: “The development of the site for 118 dwellings would make a positive contribution towards the Borough Council’s 5 year housing land requirement. “The site is located in a sustainable location on the edge of Northampton with good access to public transport.